Work-at-home moms often get overlooked for freelance jobs. People mistakenly think they are too distracted, not serious enough, or incapable of doing more than cooing at their babies. The truth is companies are missing out on a gold mine. “Recently there has been a growing awareness that losing the talent you’ve cherry picked and nurtured is not a great way to manage, and not great for business,” writes Lisa Barnwell, founder of Bumps in the Boardroom in a 2016 Guardian article about why hiring mothers is a good idea. Who better than moms to make great things happen? 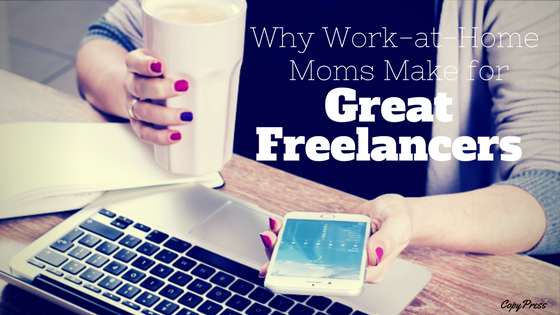 Learn why you should consider hiring work-at-home moms for freelance projects. Moms are magicians. They manage to bounce a baby, cook a meal, and take a phone call all at once. “There are people in this world who spend everyday making important decisions, troubleshooting, refereeing fights, nursing egos, doing damage control, and multi-tasking,” according to a popular meme attributed to Linda Poindexter and published by boardofwisdom.com. “They are called mothers.” Indeed, mothers have to do it all, and they are quite capable. If mothers neglect to feed their children, their babies could die. If they forget to close a diaper, they will eventually get an ugly surprise. When little Benny loses his microscopic Lego Batman somewhere in the car, mama will suffer the trauma of a killer tantrum. Nature makes moms’ attention to detail laser focused. She will transfer this super power to her work, and her clients will benefit. 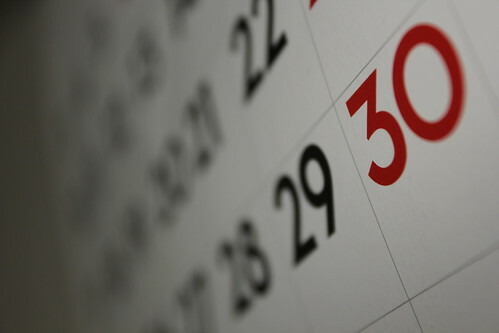 Today’s families live by their calendars. Whether they keep a digital calendar on a smartphone or one of those trendy agendas with all those stickers, they track every person’s daily schedule. And moms are the calendar keepers. They keep everyone organized, on task, and at all the right places at all the right times. Moms won’t let you down because they’ll pencil you in. Procrastination is a luxury no mother has. In fact, moms’ schedules are so well planned — down to the minute — that they can’t possibly miss a deadline. Every mother has eyes in the back of her head and a gut that knows all. In raising their children, mothers create a long-term vision for their future. Every step along the way must fit into that bigger picture. When moms transfer that intuition and concern for the future to their work, they can help clients complete projects that produce results, leading to greater goals. They can also sense change before it comes and react accordingly and with flexibility. That’s exactly what mothers have to do on a daily basis. Just ask their kids. Work-life balance is one of the greatest dilemmas anyone faces. For moms, the question becomes how to be able to care for their children and still work. Having the ability to continue to contribute to society, earn money, and do it all from home takes some of the pressure off moms’ shoulders. When someone gives a work-at-home mom a chance, she remembers and does her best to provide exceptional work as a show of gratitude. As a result, moms also tend to be fair in the fees they charge. Being a work-at-home mom requires stealth navigation. Moms have to pacify their babies to be able to work in peace. They learns what it takes to keep the kids happy, so they can get things done. When they bring that skill to their work, they learn to accommodate clients. The same idea applies; do whatever it takes to get the baby to stay still and quiet, do whatever it takes to get the job done the way the boss wants it. Besides the fact that work-at-home moms are usually willing to negotiate fees, they don’t bring with them other expenses. For example, by working at home as freelancers, they are usually not traveling or compiling expenses that, depending on your agreement, might be charged to you. In addition, you are not required to provide them with benefits, such as paid vacation or health insurance. Granted, this is true with any freelancer. But a mom brings her many talents to the table and often at a fraction of the cost of hiring a full-time staffer. For some companies, the belief that moms are not accessible is enough to dismiss hiring them. But technology has put all work-at-home freelancers in better touch. Face-to-face conference calls on Skype, online meeting services that allow for training or presentations, project planning apps, document sharing on Google Docs or Dropbox, and even social media are just a few examples. Sure, when you call mom on video conference, one of the little ones might toddle into view. Then again, when that happened to a dad getting interviewed on the BBC, it went viral. Truly, moms have the best motivation for earning a living — their kids. The mothers you know are hard working people with an uncanny ability to accomplish more than one task at a time. Mothers are detail-oriented, resourceful, and imaginative, and they have no choice but to get things done. First, employers have to recognize the skills mothers accrue as they are raising their babies and how they can be applied to their professional work. Second, they have to understand that giving moms the ability to work at home can be motivational and cost effective.